Morton Bulk Kleer Mixing Salt is an agricultural product specifically designed for the needs of feed mixing. It is carefully screened to enhance flowability and caking resistance. The salt crystals are fine, rectangular-shaped particles, white to translucent in appearance. 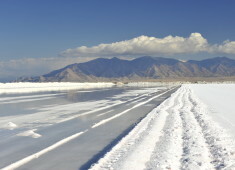 The salt is treated with a trace of yellow prussiate of soda, a water soluble anticaking agent approved for use in salt intended for animal feed.